manila fashion observer: Whatta Day! It was such a hot day today, it felt like we could do Bikram Yoga out on the streets! So excuse us for our sweaty appearance! But, even if the chances of suffering from heatstroke were pretty high, nothing could stop us from going out to meet with my friends Sarj & Happy! Today, Berry, my SIL Les and I went to Bryant Park to meet with Sarj! After a yummy lunch of nachos and fish and chips, we then went to Maryam Nassir Zadeh across the street to ogle at pretty clothes and shoes and stuff! So mad at myself for having low EQ and buying an Isabel Marant sweater dress at full price! It was on sale there! Boo hoo! 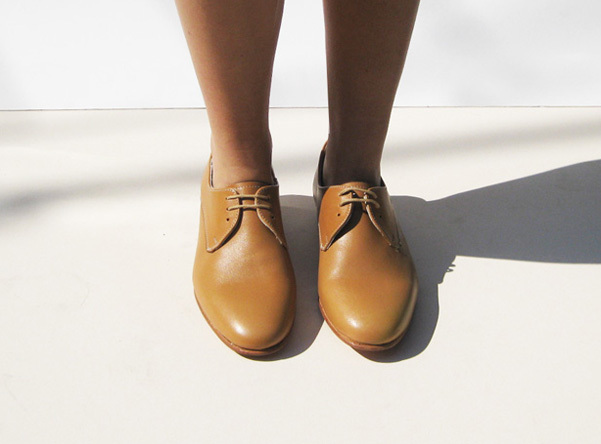 Plus, I saw these Dieppa Restrepo oxfords in camel, which I love. Uh-oh! I am afraid for what will happen next! We then went to get "dessert" at Doughnut Plant! Here's Les and Happy enjoying a strawberry jam filled doughnut (L) and Tres Leches (H)! I would post a picture of Sarj, but I think she'd kill me if I did! Hahaha! I finally got to try the Blackout too! Omg! It was yum! This photo does not do justice! Berry loved it there! You know how she loves accessories! See, she was pointing at something already! The pieces inside were gorge! Too hard not to leave the store without something! Promise! I swear, if it wasn't insanely hot earlier, we could have done more and gone to more places! oh berry! i wanna see what u picked out! awwww... adorable girls enjoying NYC! envy much?! i hear the heat is soooo bad my bro now hangs out in the library just to stay cool! hahaha! berry is sooo pretty! can't wait to see her soon! ooooh those Dieppa Restrepo oxfords is yummy!!! and say hi to les & happy for me! :) where's lor?